EU citizens can apply for Bulgarian residence and the Bulgarian ID card for EU citizens by renting or buying real estate in Bulgaria which our law firm will assist you with. It can be a small flat or a countryside house which will perfectly satisfy the requirements of the Migration Office to obtain Bulgarian residence. The residence application is lodged at the local Migration Office in the district where the real estate is located. EU citizens are granted Bulgarian residence within 3 working days after the application is received. If you choose our services, you will lodge your application on Day 1, you will be photographed on Day 2 and you will receive the ID card on Day 3. If you cannot stay for longer than 2 working days in Bulgaria, you can grant a power of attorney to our law firm to collect the ID card on your behalf and deliver it to your address abroad, by DHL courier. Initially, you have to obtain Bulgarian residence and the Bulgarian ID card for EU citizens before you can apply for family reunification for your non-EU family members. The non-EU family members who would like to join their families in the European Union and, particularly, Bulgaria should enter the country on a valid national Bulgarian C visa or a valid Schengen visa. The non-EU family member has to apply at the local Migration Office. The applicant will be granted permission to stay for 3 months while his/her family reunification application is considered. The family reunification applications are completed within 2–6 weeks. Deeds – showing that you have property in your country is a good way of proving that you don’t intend to remain in Bulgaria after the expiration of your visa. School certificates – if you have children, certificates that your children are enrolled in primary, secondary or high school is good. Marriage certificate – While the marriage certificate is necessary for married couples, cohabiting couples (living together but without a civil marriage) can still apply for family reunification in Bulgaria and they will be granted the same rights as a civil partner. EU citizens who have been granted Bulgarian residence and a Bulgarian ID card can apply for family reunification for their non-married, non-EU partners/spouses. Cohabiting partners need to sign a few declarations stating that they live together and consider themselves family even if they are not bound by a civil marriage. The non-EU partner should visit Bulgaria for 1 working day to start the family reunification procedure on a valid national Bulgarian visa or a valid Schengen visa. Bulgarian legislation considers cohabiting couples as a family. You are not required to present a valid marriage certificate or a CBR check. Full assistance will be provided to obtain the status of cohabiting couple. Renting or buying a property in Bulgaria is more affordable than in any other EU member state. Legal fees in Bulgaria are much lesser than that of immigration lawyers in the UK or in any other EU member state. Bulgarian migration authorities are trying to attract an educated labour force from non-EU member states and therefore, there is a relaxed immigration policy on non-EU citizens. What do you get when you are granted Bulgarian residence? Once you are granted Bulgarian residence, you increase your chances to obtain Bulgarian tax residence. You can apply for family reunification for your non-EU family members. The Bulgarian residence and ID card will guarantee hassle-free visits to Bulgaria and other EU countries for British citizens after Brexit. The Bulgarian ID card is a precondition before you exchange your driving license for a Bulgarian driving licence. Holding a Bulgarian ID card, you don’t need your passport or national ID card to incorporate or register a company in Bulgaria. The ID card is considered a valid enough. Holding a Bulgarian ID card, you can register your car in Bulgaria and start saving taxes. 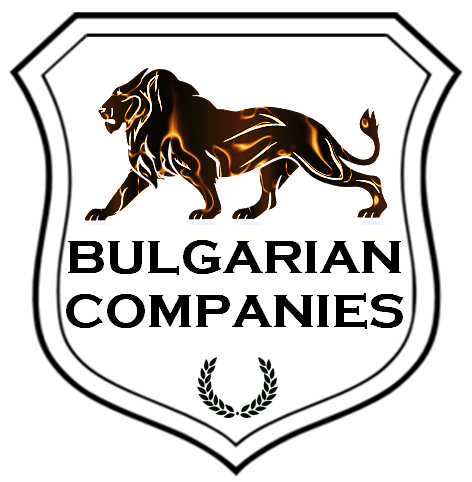 For more details about obtaining Bulgarian residence, please feel free to contact us.